Hvar island is often referred to as touristic destination for those who want to be part of fashionable nightlife, but still there are many of Hvar places that have kept genuine architecture and a way of life. 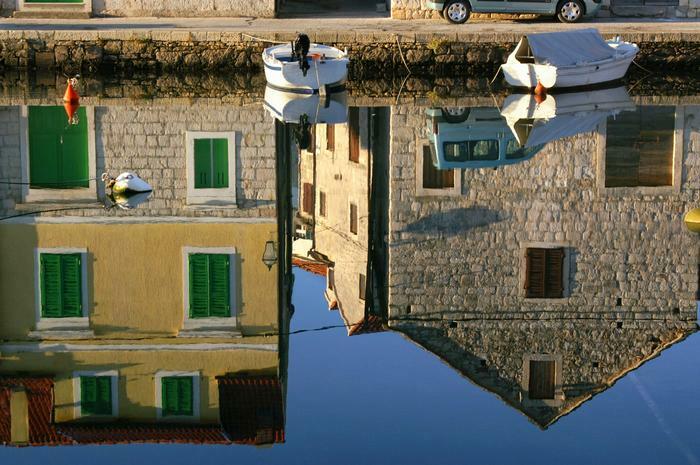 Vrboska is the smallest place on the island of Hvar and it looks almost as a postcard of a Mediterranean small town. It is situated on the channel shores that goes deep into the land. On several places thew shores are connected with bridge and that is why Vrboska is being called Little Venice. Another natural attraction is small islet situated at the end of the channel, and it is merely larger than the palm tree that grows on it. Guests who are looking for peaceful holidays, Hvar offers no better place than Vrboska. It is ideal place for relaxation, far from crowd and “near” the experience of a genuine island life. Vrboska is only 7km away from Stari Grad, which is connected by ferry from Split to Hvar on daily basis.